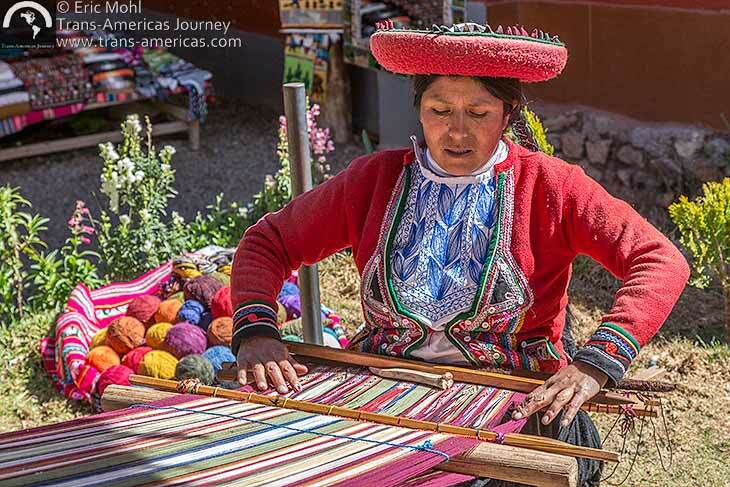 Traditional Andean weaving and textiles in the Cuzco region of Peru are a fascinating mix of color, pattern, and deeply rooted meaning. 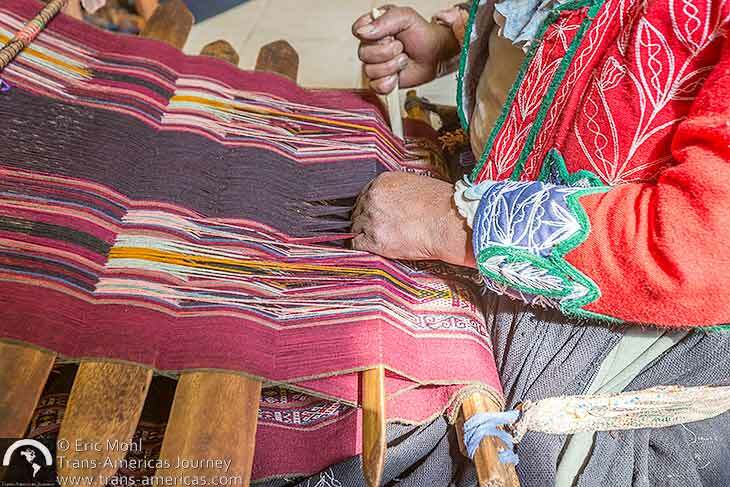 Here are some of our favorite examples of this lovely and meaningful handicraft and the people who do it. 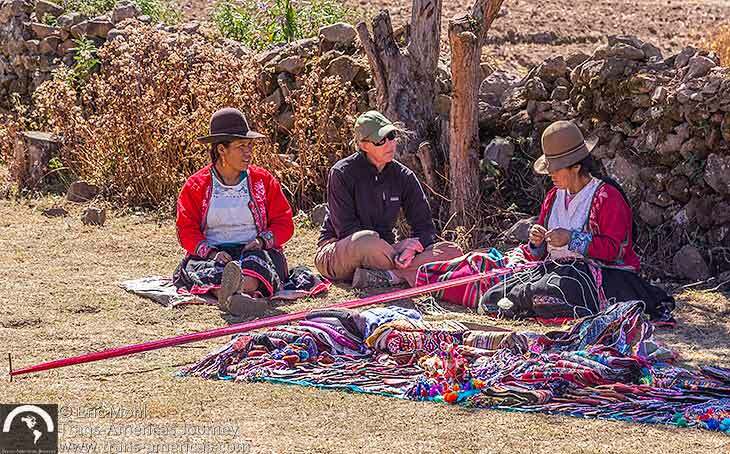 Karen sitting with weavers in Peru. 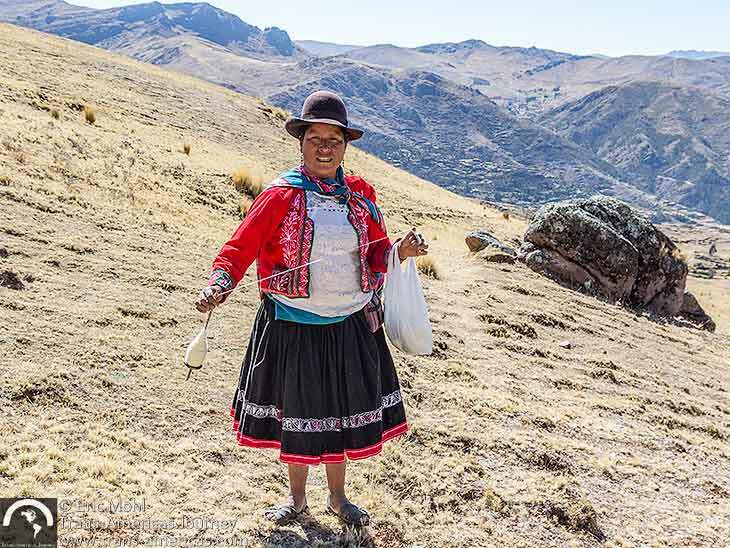 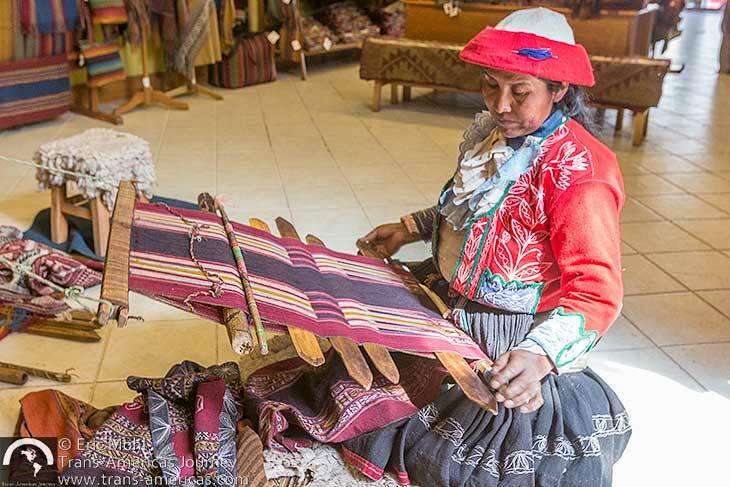 Women in the Andes are rarely seen without a spinning wheel unless their hands are busy with other work. 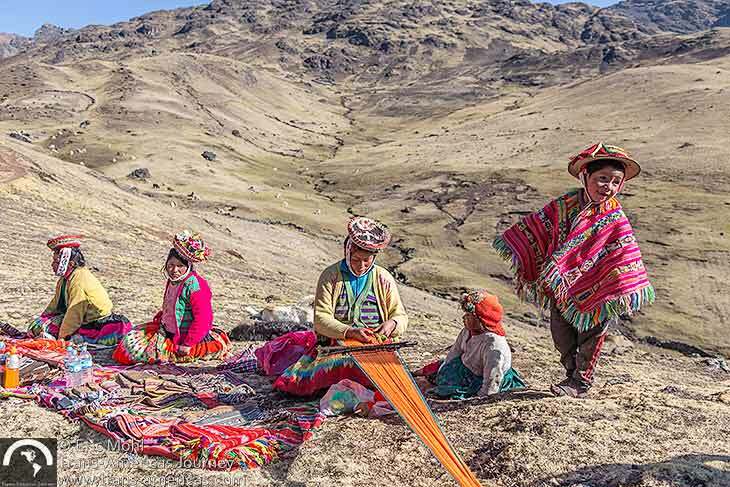 Weavers and their children in the Lares Valley. 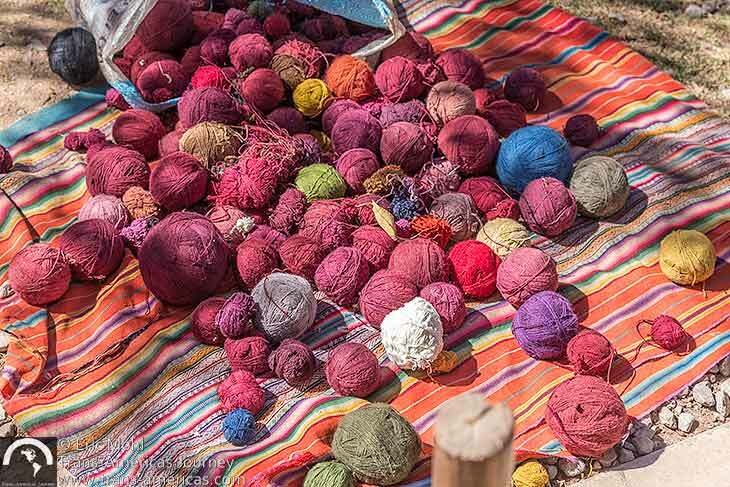 Alpaca fibers are spun into yarn which is then dyed, often using natural plant-and-mineral-based dyes. 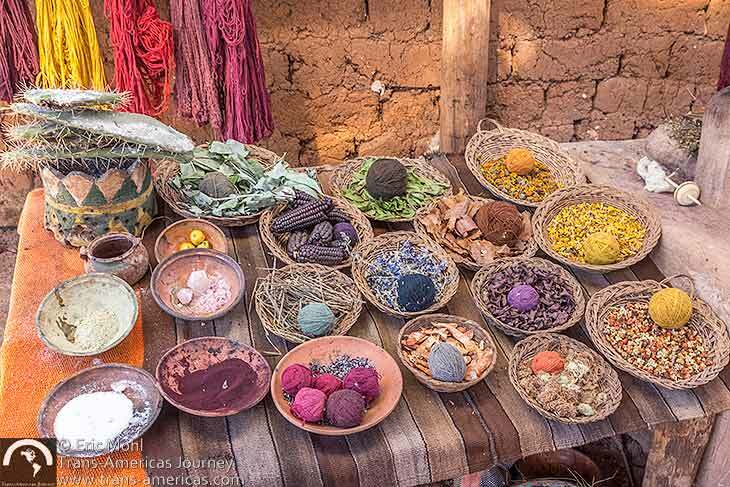 Just a few of the natural ingredients which are used to dye yarn before weaving in Peru. 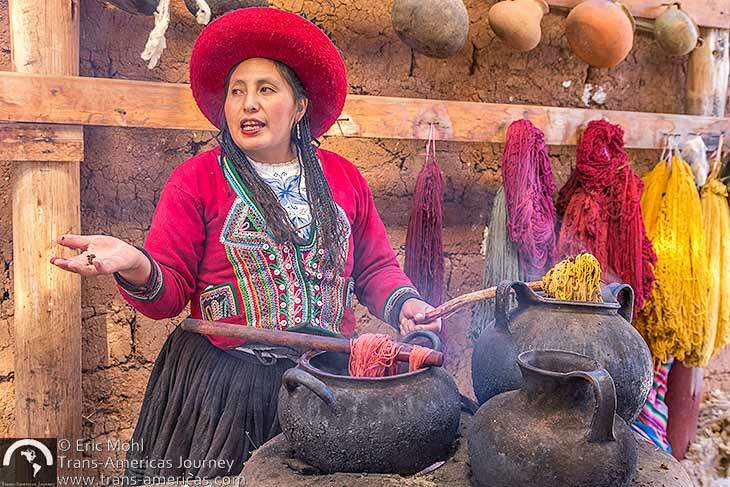 A weaver explaining how yarn is dyed before weaving. 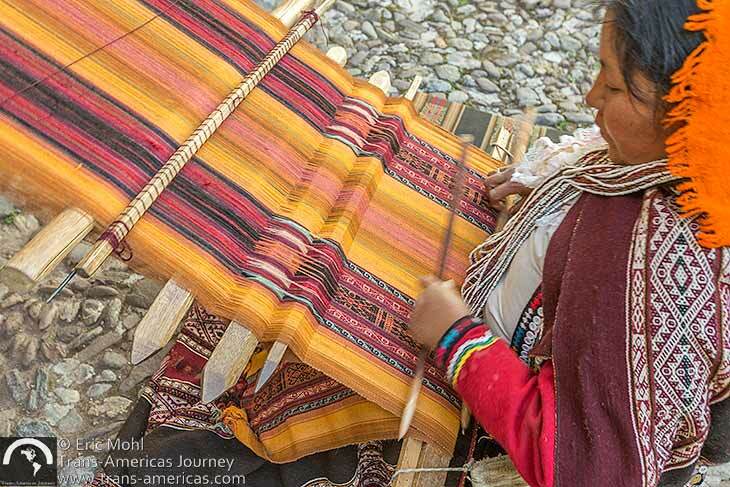 A weaver near Chinchero in Peru. 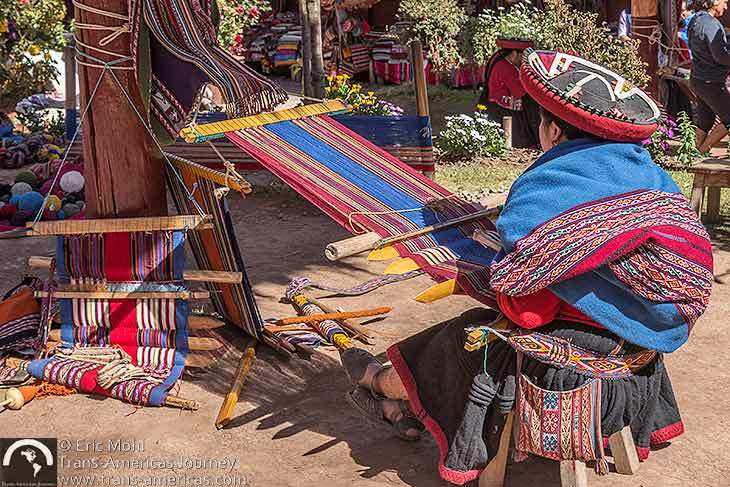 A traditional backstrap loom in use in Peru. 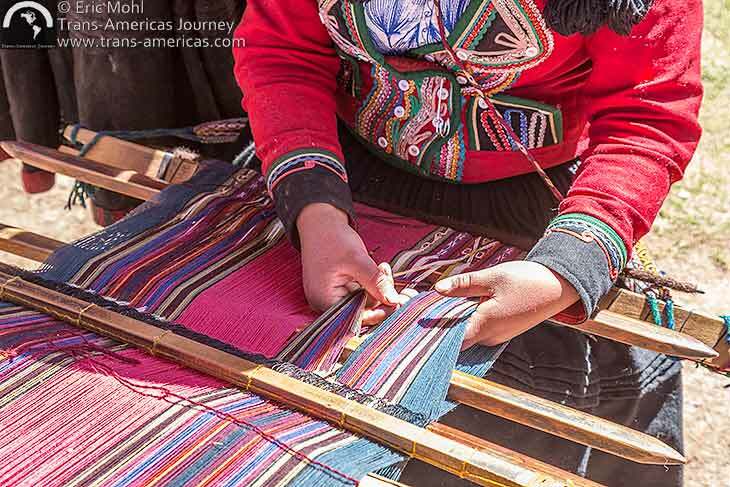 Colors are intense and patterns can be intricate in traditional textiles in Peru. 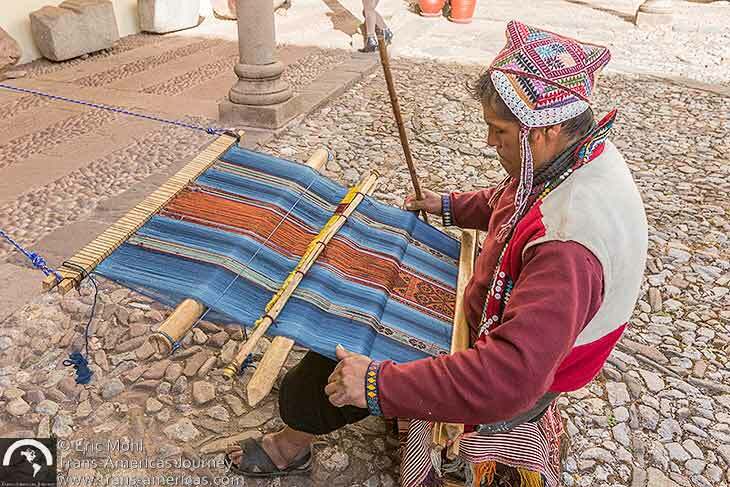 A weaver at work in the Centro de Textiles de Cusco store, which we highly recommend if you want to purchase high-quality textiles in Cuzco. 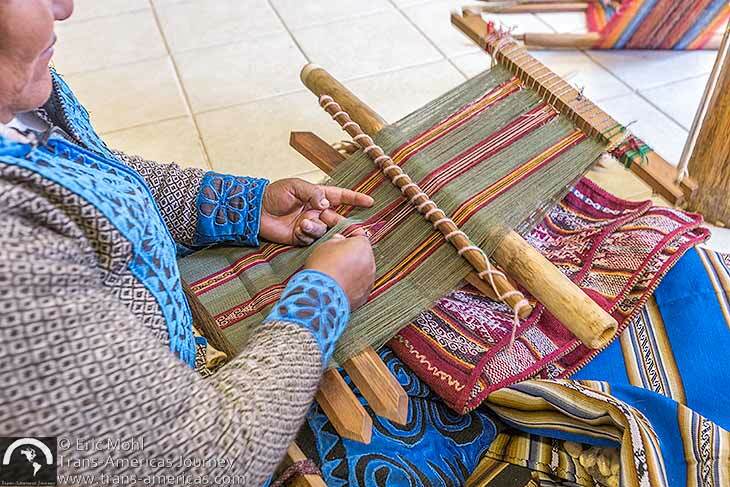 Men learn and practice weaving techniques as well. 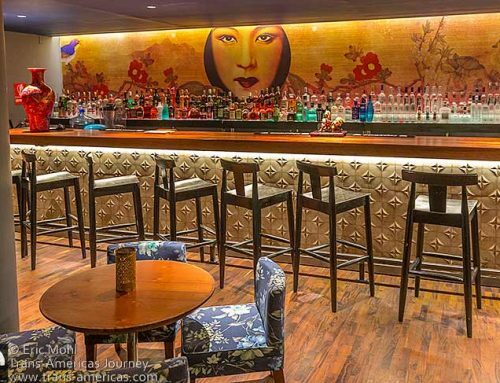 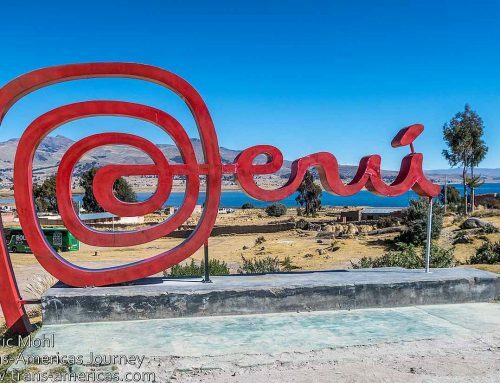 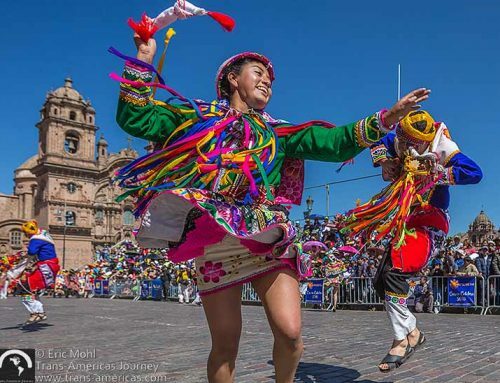 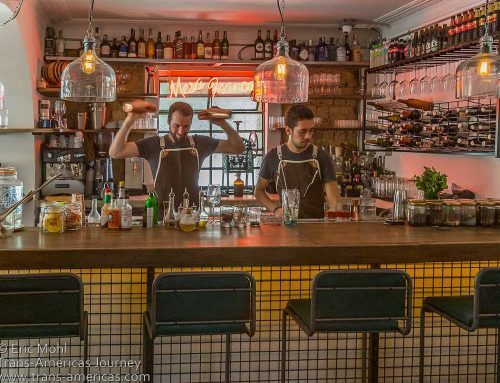 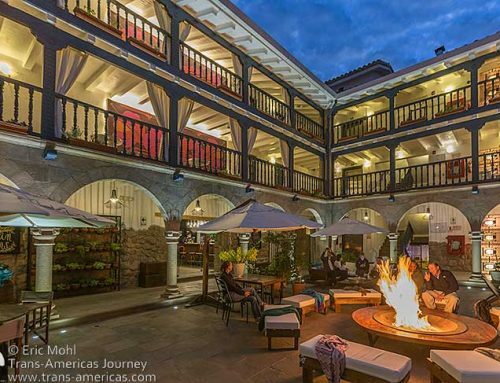 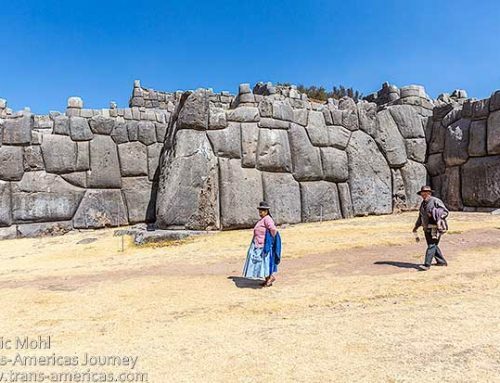 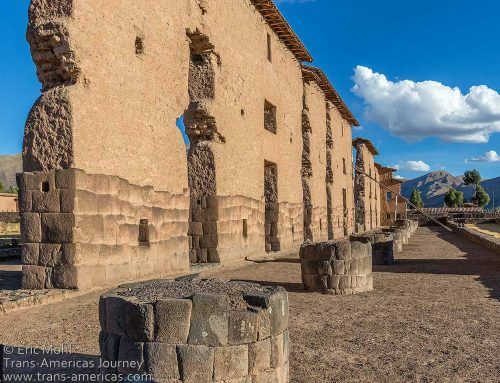 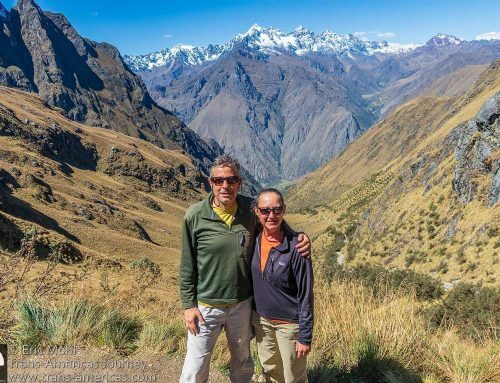 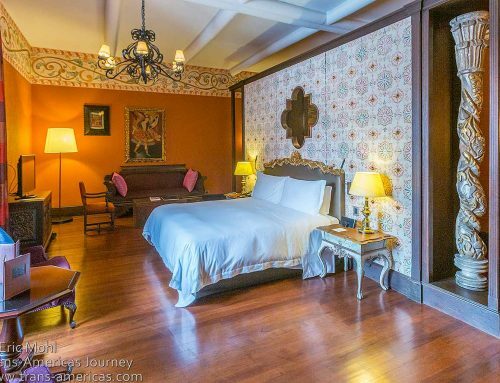 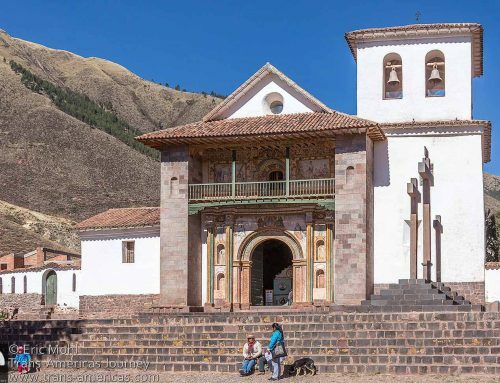 Find out more about travel to this part of the country in our 4-part City Travel Guide covering hotels, restaurants, attractions, and archaeological sites in Cuzco, Peru. 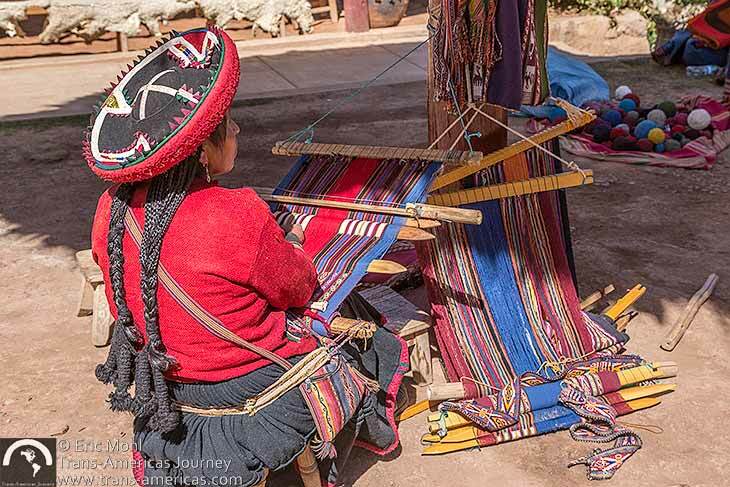 If you want to learn more about traditional Andean textile weaving, buy high-quality, fair trade textiles contact, or arrange tours to textile producing villages contact Threads of Peru in Cuzco. 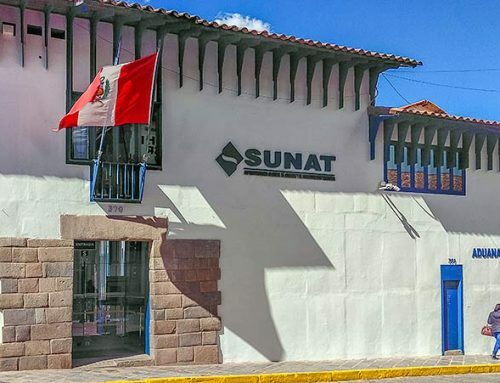 I discovered your site by the use of Google while looking for a similar matter. 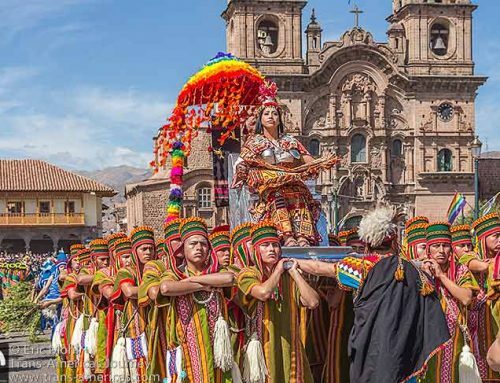 Thank you, I’ve recently been looking for info about this subject. appreciate it for the post.